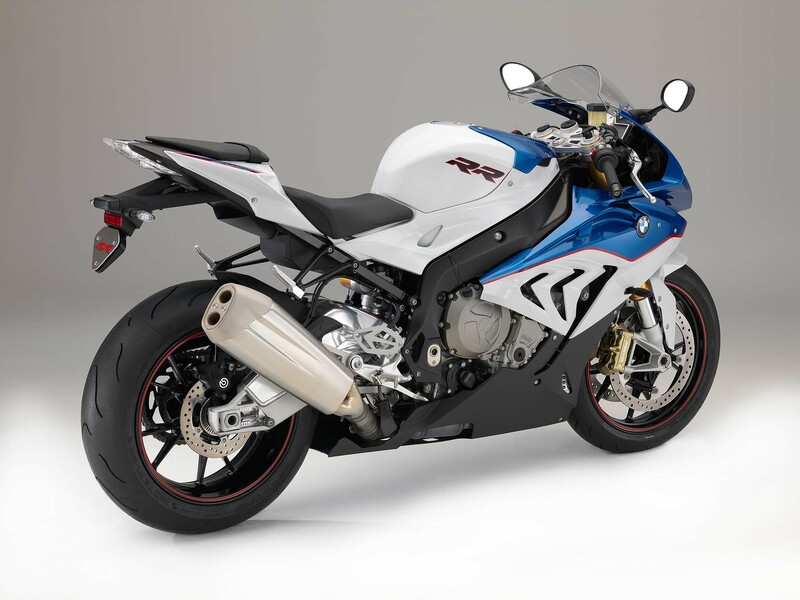 Unsurprisingly, BMW Motorrad debuted an updated BMW S1000RR superbike at INTERMOT — building upon the company’s already stout package. 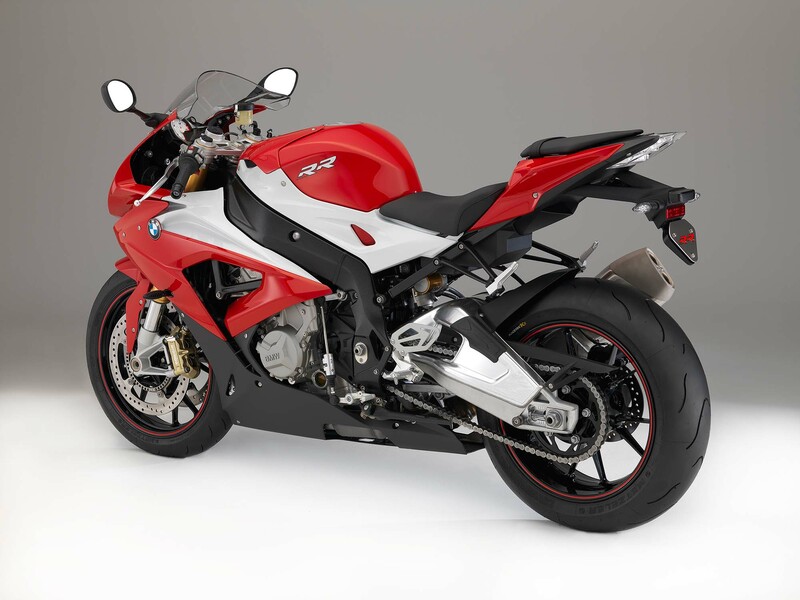 Revising the frame geometry for better handling, massaging the engine for an additional 6hp (peak power is now 199hp, while torque is at 83 lbs•ft), and reducing weight by 9 lbs (449.7 lbs with a full tank of fuel and ABS), the Germans hope that the 2015 BMW S1000RR remains the superbike to beat in the coming years. 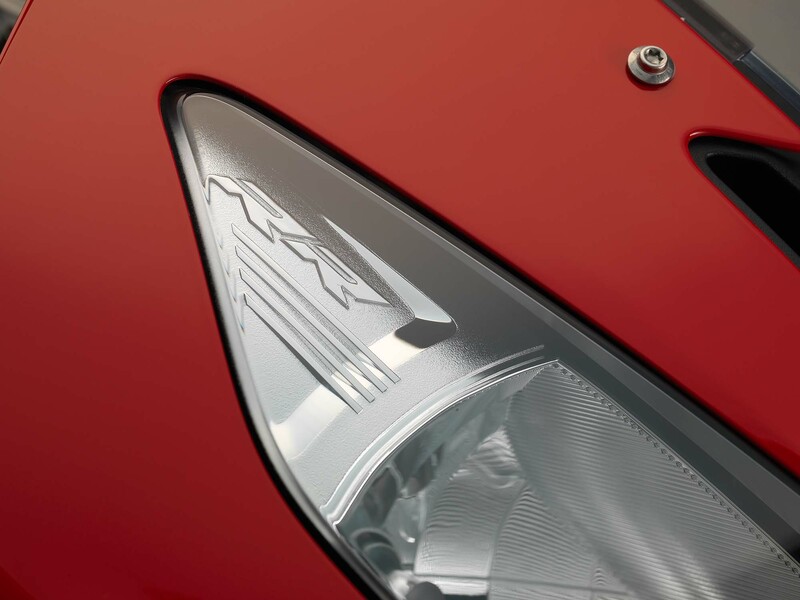 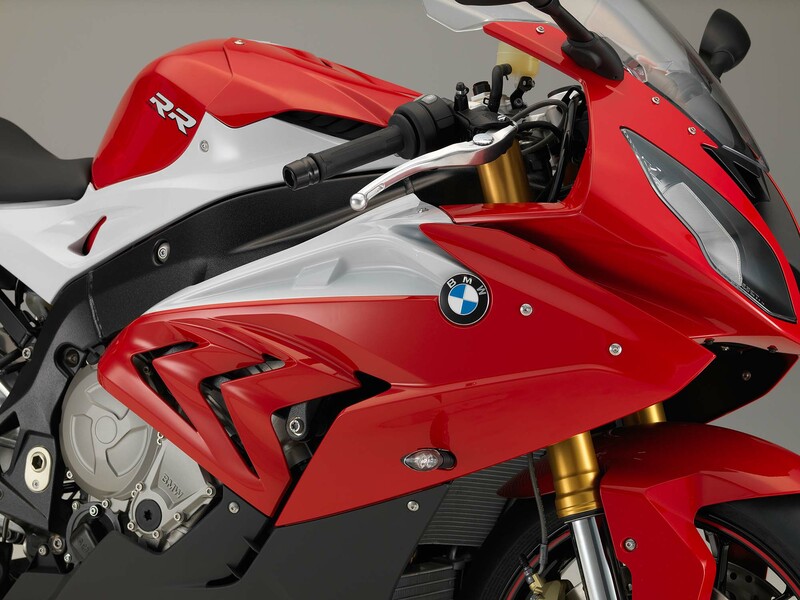 BMW says it gained the extra power by revising the cylinder head on the 998cc inline-four engine — changing the duct geometry, intake camshaft, and intake valves in the process. 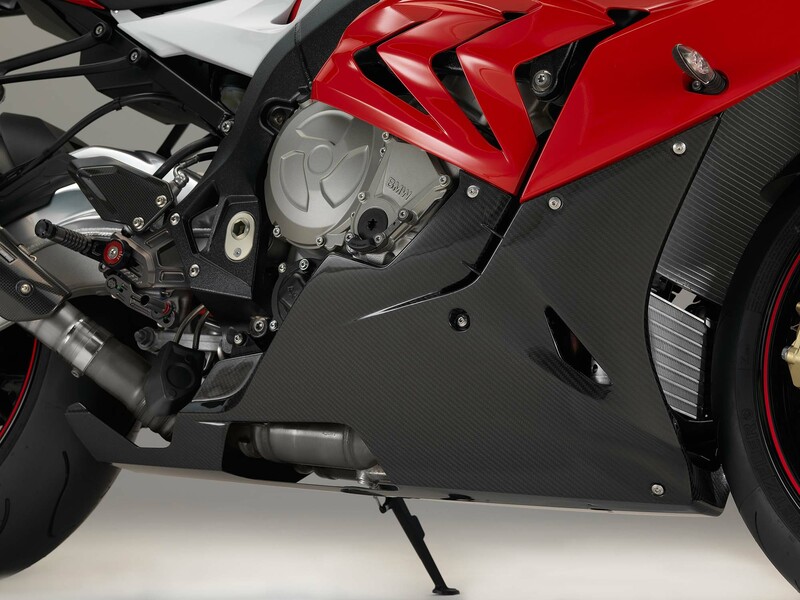 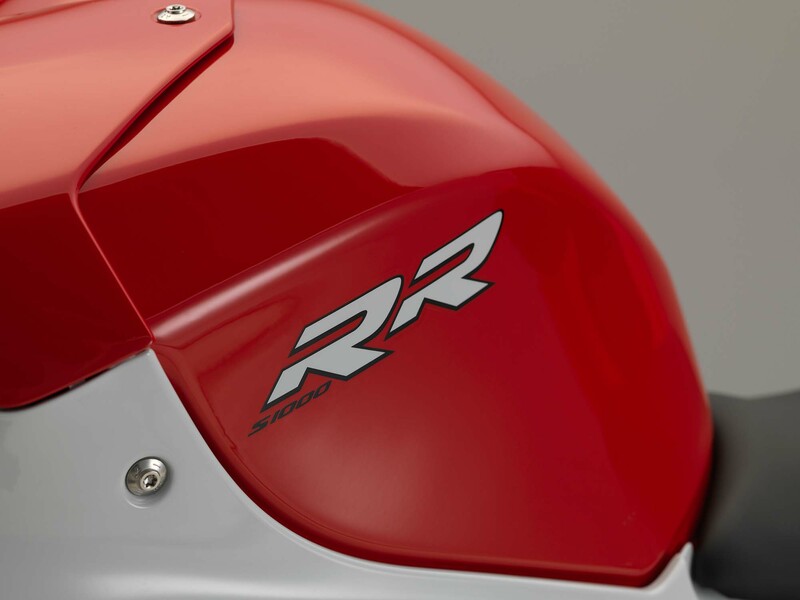 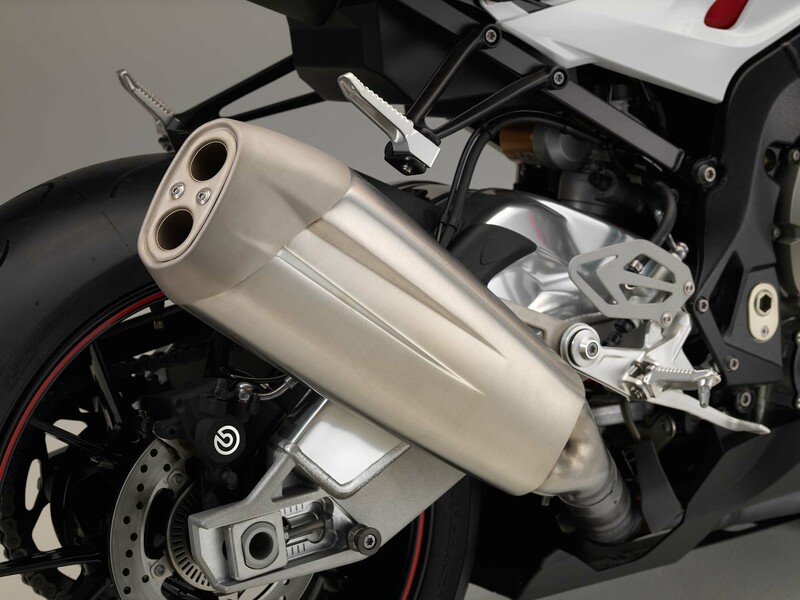 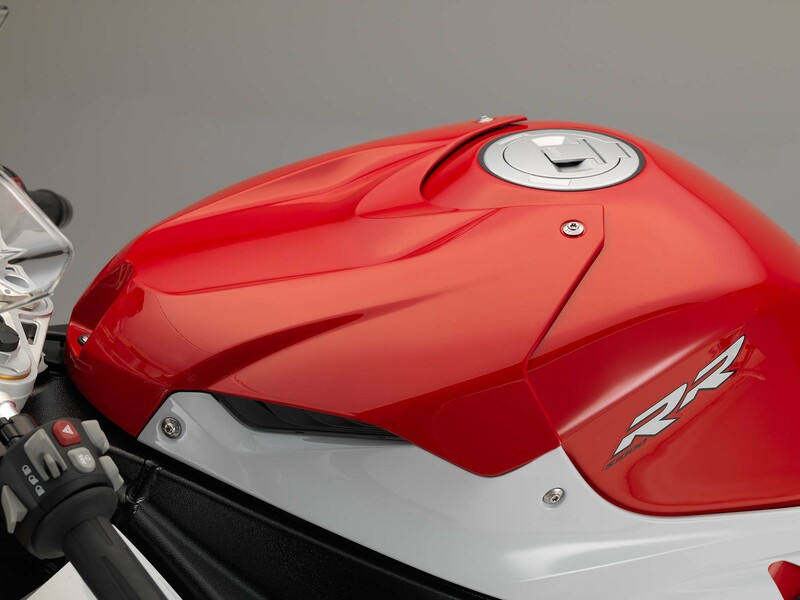 A larger airbox, along with shorter intake lengths also help boost the peak horsepower on the 2015 BMW S1000RR. 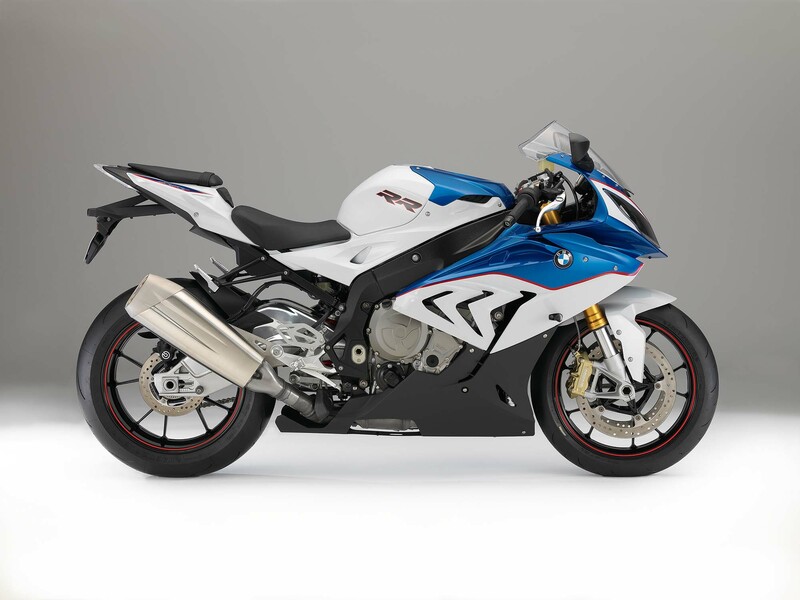 Increasing torque upwards of 5,000 rpm, as well as a more linear and wider torque curve, aids in getting the new S1000RR off the line quicker as well. 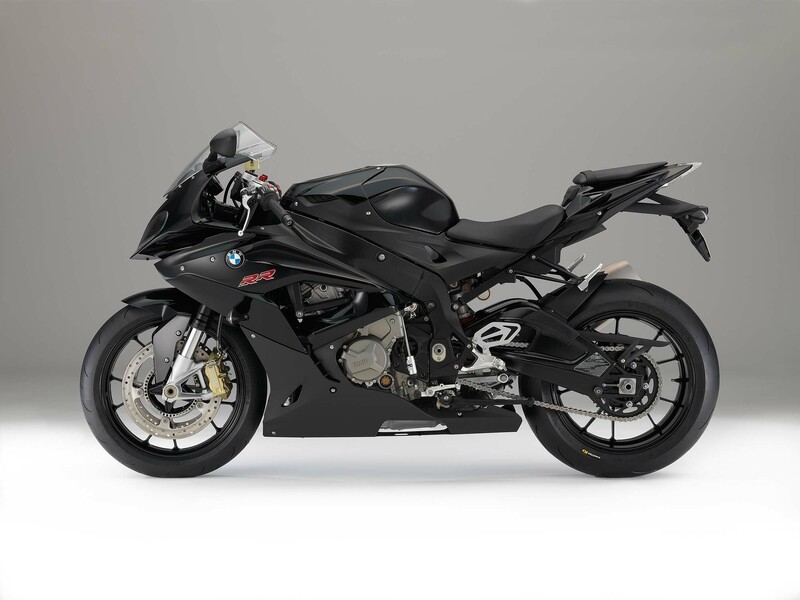 Helping drop the weight was BMW’s refinement of the exhaust, which drops the front silencer, for a weight reduction of 6.6 lbs. 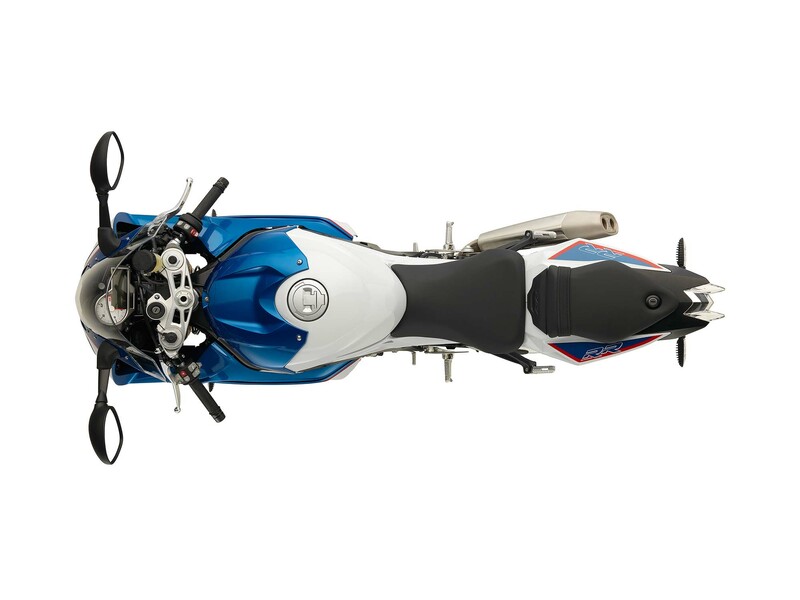 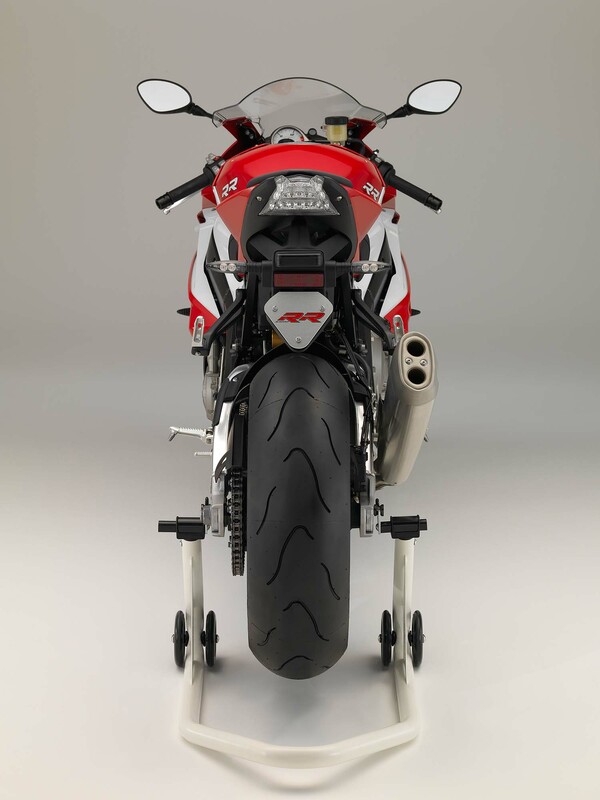 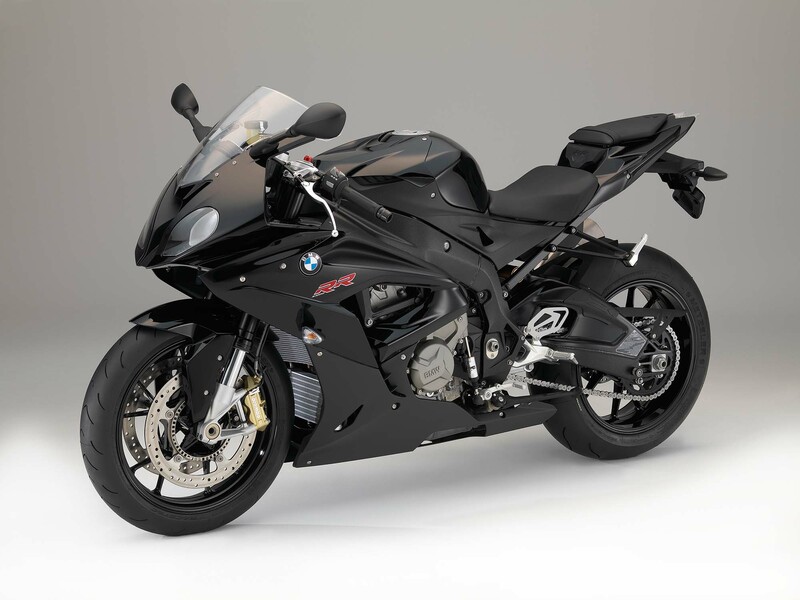 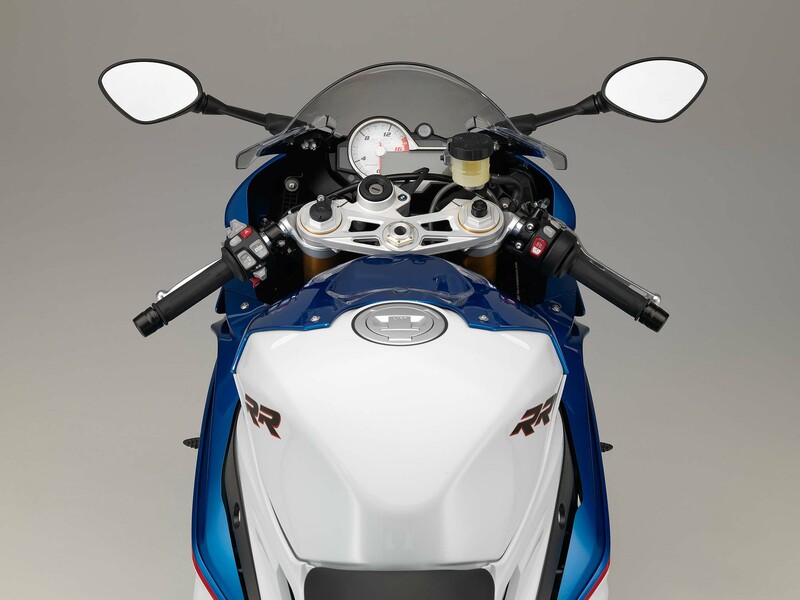 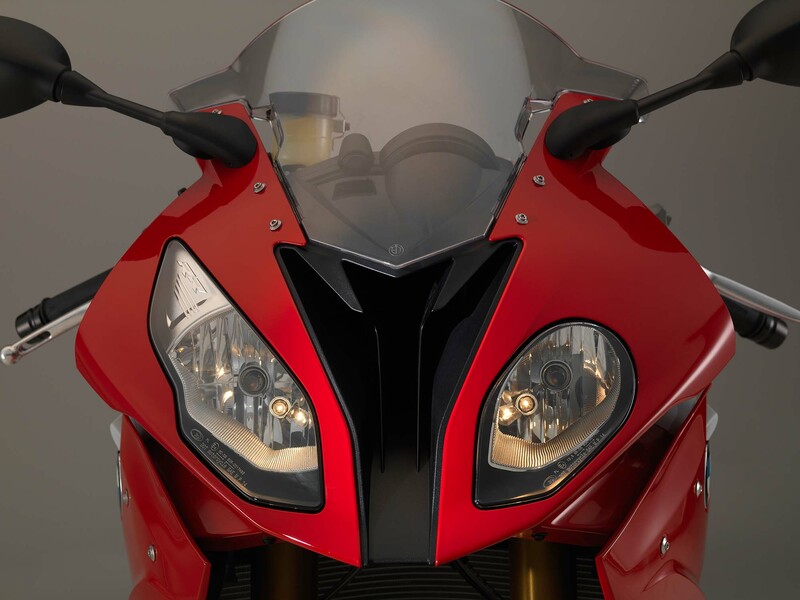 The frame on the 2015 BMW S1000RR is lighter as well, and boasts refined positions for the steering head angle, wheel castor, wheelbase, and swingarm pivot. 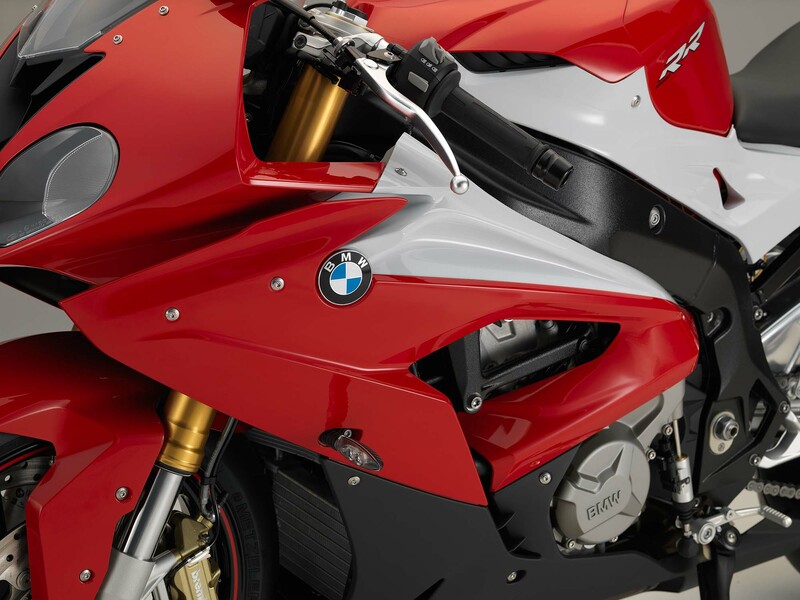 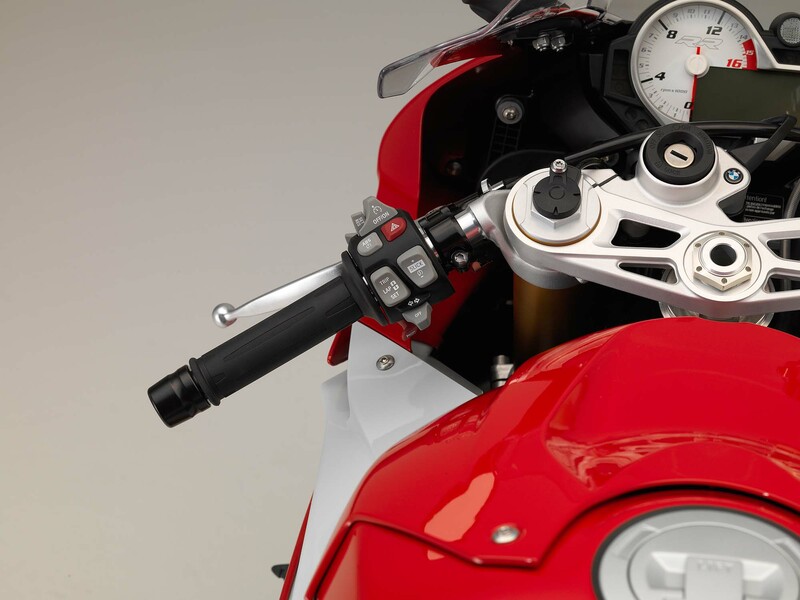 The last weight saving measure is a new battery, which shaves another 2lbs off the 2015 BMW S1000RR. 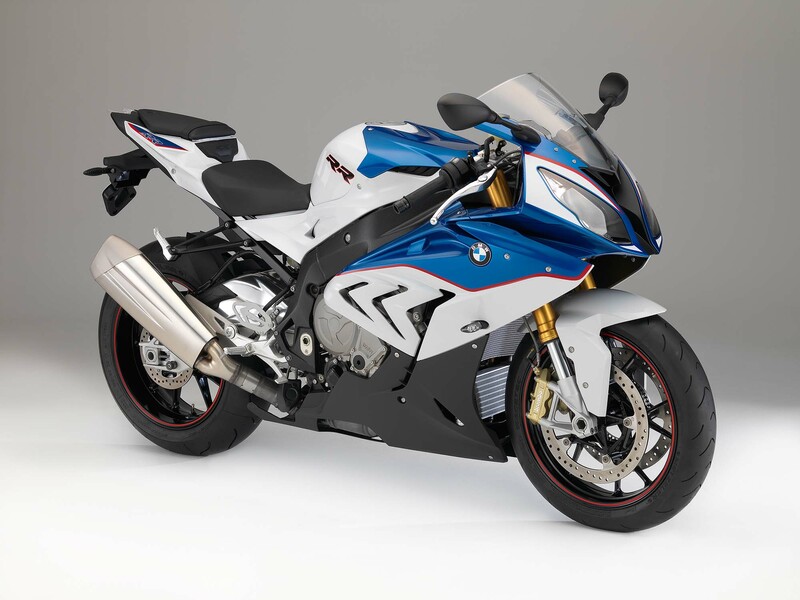 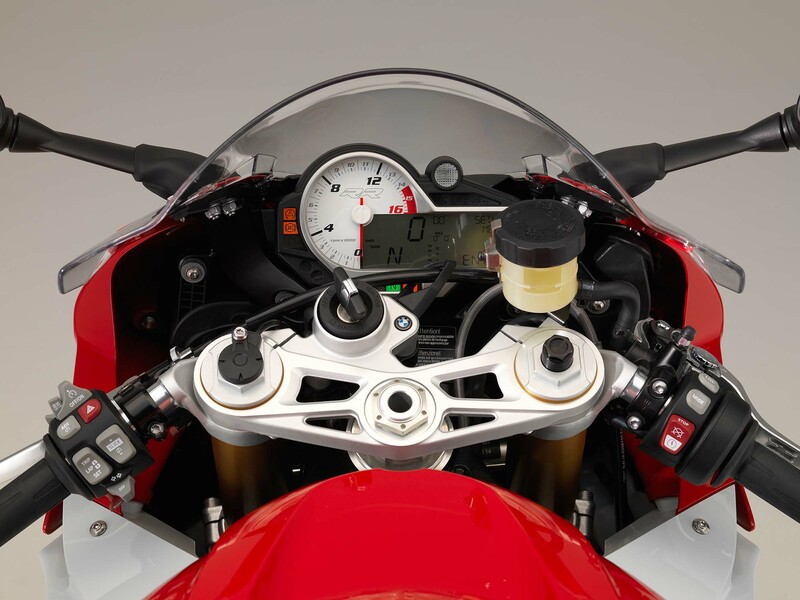 As we had predicted, the new S1000RR can be fitted with an improved version of the electronically controlled Dynamic Damping Control (DDC) suspension, as had previously been seen on the BMW HP4. 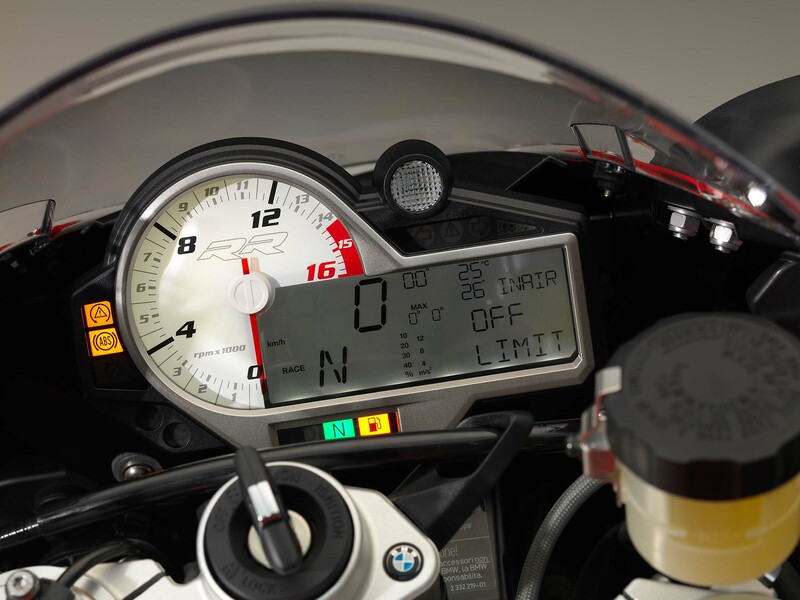 Perhaps the most intriguing new feature is the addition of cruise control to the BMW S1000RR, making it an industry first in the superbike segment.